Ladybug Pest Management is beyond delighted to announce that we have added to our pest detection family! We would like to proudly introduce Dixie, our newest fighter in the battle against bed bugs! Dixie is a beagle and she will soon be turning two! She was a rescue dog from SOS Beagle rescue where she was found down south by a river with a litter of puppies. All of the puppies have since found homes and loving owners. Our Dixie made her way to the New Jersey satellite operation of SOS Beagle Rescue. That is where our Master Trainer located her and felt that she would be a great addition to our family as a bed bug beagle as soon as they met, and he was so right. Dixie fits in perfectly with her new family and fellow beagles Daisey and Dolley! The three of them all get along so perfectly! She has an amazing nose for bed bugs and she also graduated at the top of her class. Dixie joined the team at Ladybug Pest Management in May of 2016. From a rescue, to a graduate, Dixie has found a new career, a new home and a special place in all of our hearts. The road to finalize the bed bug elimination process begins with proper recognition of infested areas. While adult bed bugs may be simpler to identify, bed bug eggs and nymphs are extremely tricky to locate, especially in early or light infestations. With an exceptional sense of smell, canine scent detection dogs acquire the distinctive ability to detect bed bugs promptly and efficiently, with little disruption to your business or home. Scent detection dogs are able to smell the presence of live infestations in a given area within minutes. Since many people spend thousands of dollars on infestation removal, there are many that are concerned that the use of scent detection dogs is just another additional expense. In reality, the use of scent detection dogs can save an individual or a company several thousands of dollars on unnecessarily servicing rooms that are not infested. There have been several cases where a resident was convinced there were bed bugs, but the detection found no traces of live infestations. With the increased focus on green pest management and integrated pest management, bed bug detection dogs are quickly gaining popularity among the Eastern Shore. Canine scent detection dogs are a safe and efficient addition to pesticides being used as a pest control strategy. Canine scent detection dogs are able to find out exactly where the bed bugs are located, which helps to minimize the area that needs to be directly sprayed. 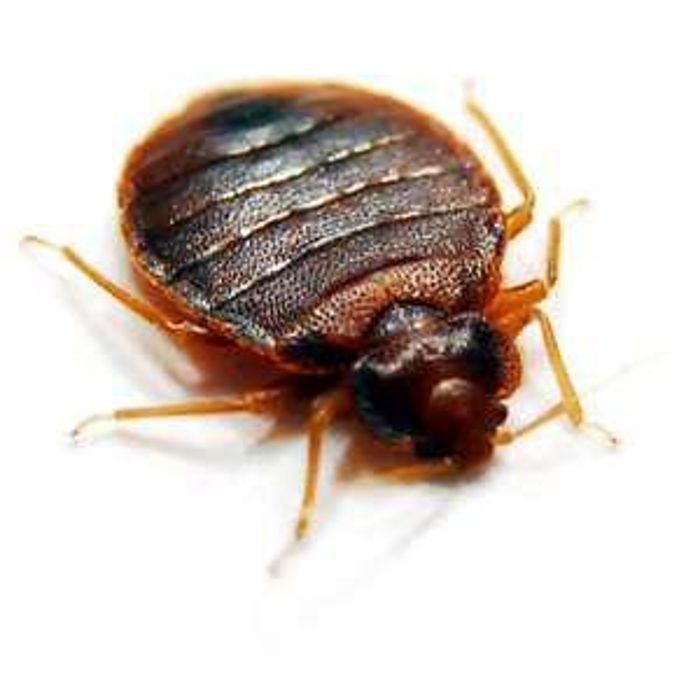 If you think that you may have bed bugs and want to save money and get to the root of the problem quickly, call and make an appointment with Ladybug Pest Management and our sensational bed bug beagles today! We are ready and happy to help assist you in any pest control problems that you may have within your home or business!